The generation that grew up on games is starting to grow up. After being educated and groomed for the workforce, it’s time to go out in the world. The spirit of gaming remains, but unfortunately, there are sometimes more important things to worry about. Among those things? The electric bill. Trying to balance your gaming with your essential utility costs? 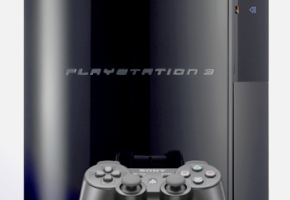 You may want to steer clear from excessive Playstation 3 use. A study from the Australian Consumers Association put all three consoles to the test. Their findings show that when on all the time, the PS3 will cost $4.79 a week in electric costs. When simply idle, the weekly cost dips to $4.56. It’s only when the console is off that the power plummets to a cost of just four cents a week. The XBOX 360 wasn’t much better, draining $3.73 a week when on, $3.37 when idle, and six cents when completely off. The Nintendo Wii ended up being the most energy efficient. Running it all the time only costs 45 cents a week, and only 43 cents a week when idle. Turning it off keeps the price to 5 cents a week. The study really speaks to the importance of energy conservation, not just for the world and the environment, but also for your own wallet. If you’re reading this, chances are you have an insatiable appetite for gaming, but remember–the more you turn it on, the more the electric company’s going to bring you the power. The more it comes down the line, strong as it can be, through the courtesy of the electric company–the more money you’ll be paying. Morgan Freeman and Bill Cosby won’t be singing, either.